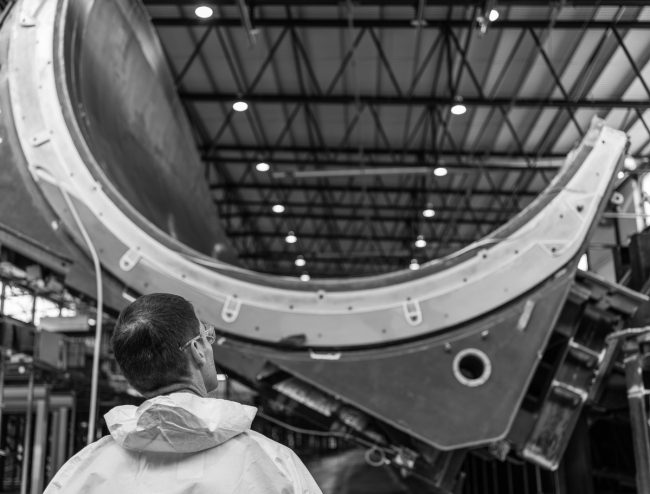 With the arrival of a new blade mould at the company’s Isle of Wight factory, offshore wind turbine manufacturer MHI Vestas, are set to support and create 1,100 new jobs and millions in economic benefits. The arrival of the mould signals a chief milestone in the company’s manufacturing expansion efforts, which promises to add 1,100 new jobs – direct, indirect, and induced – and £42 million per year in added economic benefit to the Solent region once the second mould is fully operational. The company are now underway to begin production as early as January 2019. Offshore wind has become one of the UK’s biggest growth industries thanks in part to companies like MHI Vestas which continues to invest heavily as it establishes a world-class manufacturing centre in the South and keeps pace with surging demand. An economic impact analysis conducted by BVG Associates has concluded that, in addition to the 380 new direct jobs at the Isle of Wight blade factory and paint and logistics facility at Fawley, an additional 720 indirect and induced jobs will be added as a result of the company’s expansion effort. The same analysis concluded that the total economic impact would be £42 million additional value-add per year to the regional economy when the second mould is fully operational. The company’s announcement comes as the UK kicks off its annual Offshore Wind Week, highlighting the industry’s accomplishments and expected future impact. Notably, the sector is poised to grow exponentially as the UK expects to get a third of its electricity from offshore wind by 2030, putting offshore wind in position to be the backbone of a clean, reliable, affordable energy system.